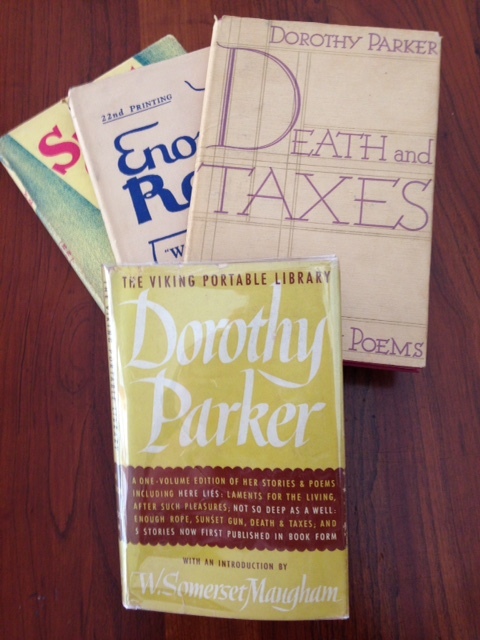 I recently had the pleasure of being introduced to Dorothy Parker through a private collection that is being put up for sale. Parker (1893 – 1967) came to fame in the 1920s writing book reviews, poetry, and short fiction for The New Yorker. She is known for her sharp wit and had previously worked for Vogue and Vanity Fair. Dorothy Parker along with Robert Benchley and Robert Sherwood formed the Algonquin Round Table, which went on to include members such as Harold Ross, Harpo Marx, and Edna Ferber. The group took its name from its meeting place, The Algonquin Hotel in Manhattan, and was known for its sharp-tongued banter. Later, Parker went on to pursue screenwriting in Hollywood, and was personally active in Civil Rights. Previous Previous post: Playbills Anyone? Next Next post: Are you ready for Jason Bourne?